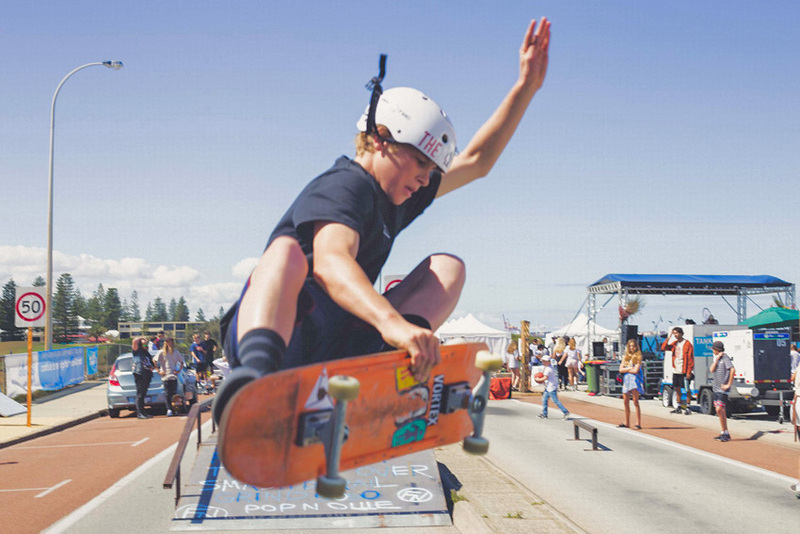 Freestyle Now hosted a skateboard jam session at the 2018 ICEA surf classic. On the day Freestyle Now brought in some of our portable skatepark for skateboard participants in the coaching sessions and the jam sessions to use. 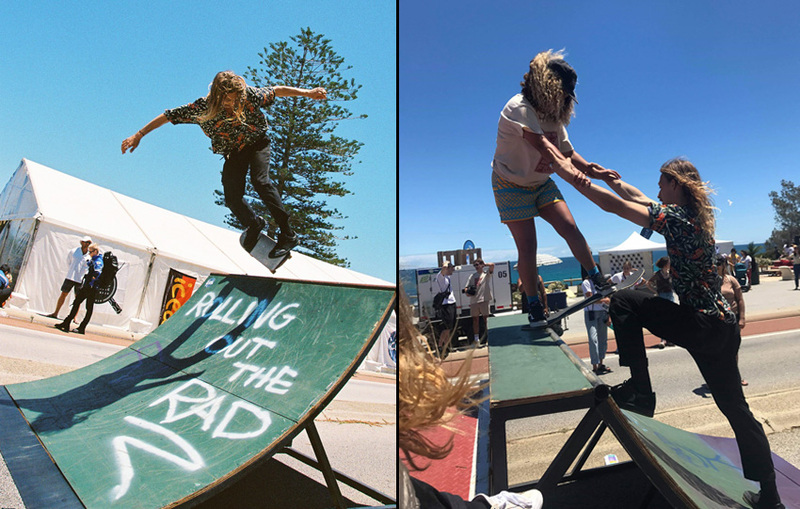 Cottesloe beach was a perfect location to set up the ramps and let the skateboarders roll out the rad. There was some great participation levels and lots of skaters won some rad prizes on the day. Good friends of Freestyle Now Brendon Cross and Aarron Winter were there to help other skateboards learn new skills and gain new levels of confidence. It was a great day had by all. Big thanks to the ICEA foundation for hosting the event and to all the crews who came down to skate. It is refreshing to see some of this old style being displayed by the new generation of skaters. Go fast and grab on the rails. Brendon Cross using the ramps for rolling out the rad and helping new skaters gain confidence. More photos can be found on our facebook page here.